SINGAPORE: As it sought to reassure the public that it cannot be ‘business as usual’ after actor Aloysius Pang’s death, the Army on Thursday announced a halt on all high-risk training activities. 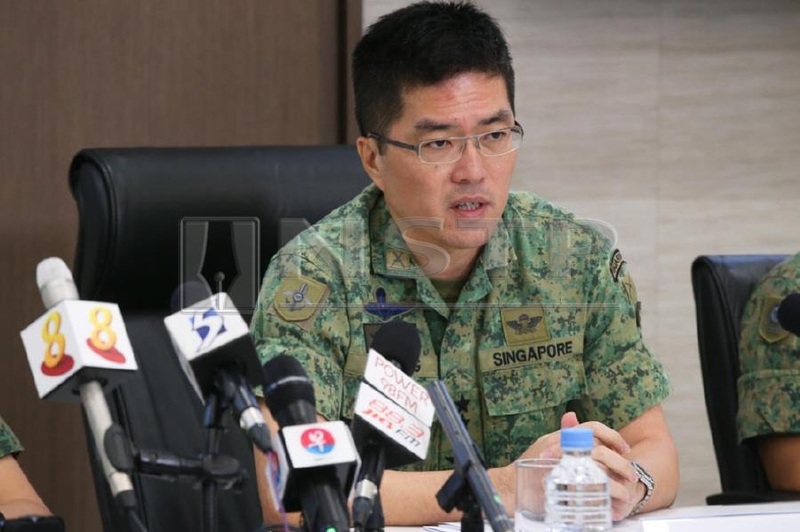 This is so that a review can be carried out, and measures drawn up to reduce the pace of training across the Singapore Armed Forces (SAF), top military officers said. Tamping down the “training tempo” will give full-time and operationally ready national servicemen, as well as their units, more capacity to review their training and safety processes, Chief of Defence Force Melvyn Ong said at a press conference on the young actor’s death. The units will submit their plans in the next few days. A reduced training tempo means the duration, intensity and frequency of training will be lowered, bringing it to a more sustainable pace with a “focus on safety”, said Lieutenant-General Ong. It will begin in the next few weeks, and stay for as long as it takes for the SAF to “get this right”, he added. The Army-wide safety timeout — which will run for an unspecified period — means all field training and live-firing activities here and overseas will be halted, Chief of Army Goh Si Hou said. It comes after Corporal First Class (National Service) Pang, an armament technician, died on Wednesday, four days after he was crushed by a lowered gun barrel in the howitzer he was repairing. He suffered major trauma injury affecting multiple organs. The howitzer is an artillery gun mounted on an armoured chassis. The accident occurred during Exercise Thunder Warrior, an artillery live-firing exercise in the Waiouru Training Area in New Zealand. Pang, who was in his seventh in-camp training as an operationally ready national serviceman, had been given professional training in maintenance, and had also undergone “just-in-time” refresher training before the exercise kicked off. In the aftermath of the accident, a safety pause kicked in on artillery training in New Zealand. The Army also ordered an immediate halt on maintenance-related work and training, both in New Zealand and Singapore. Meeting more than 1,200 commanders and trainers on Thursday, he said that the Army may have sound safety systems and good commanders, but it recognises that every time it falls short, the result “could be very costly”. “I’ve told all my commanders that this cannot be business as usual,” he added. Weighing in on Pang’s death on Thursday night, Defence Minister Ng Eng Hen urged soldiers who detect an unsafe practice to tell their commanders or to stop training to protect themselves and their buddies. “No one needs to fear any disciplinary action for doing right to protect lives during training,” Dr Ng wrote on Facebook. Pang’s death is the latest in a string of SAF training deaths — four in the last one-and-a-half years. Asked if he was worried that there were undetected systemic lapses, Lieutenant-General Ong noted that the External Review Panel on SAF Safety — which oversees the conduct of safety and system reviews for the Defence Ministry and the SAF — has “constantly ascertained that the systems are in place”. While systems have been built in, Lieutenant-General Ong said repeatedly that the SAF can “do better”. “I believe that once we lower the training tempo… it will give us more time to ascertain the optimum level of activity, the right emphasis and the right training activity level, (and) this will put us in a better state,” he added.